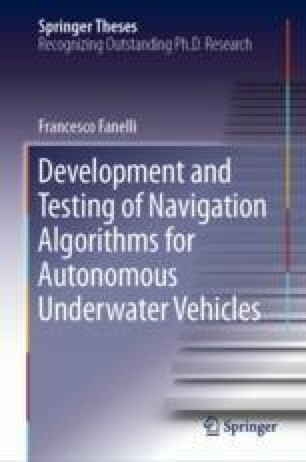 This chapter collects the results of tests performed with the aim of validating and evaluating the performance of the developed navigation algorithms. These tests, executed throughout the whole Ph.D. period, involved all the AUVs of the MDM Lab, and consist in simulations using experimental data acquired at sea (to, e.g., test the correctness of the algorithms or to investigate the causes of unexpected or undesired behavior), preliminary experimental tests executed in controlled environments, and even complete online validation tests, where the developed algorithms were actively used within the GNC loop of the vehicles. All the unknown coefficients, tunable parameters, and gains introduced in previous chapters were identified or set, for each vehicle, according to the outcome of preliminary experimental tests in order to achieve the best possible behavior for the algorithms under test.